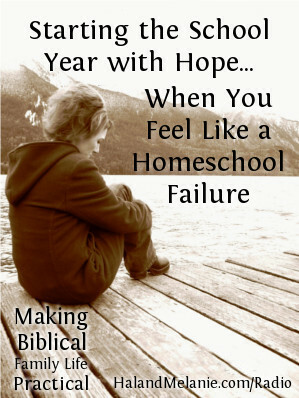 This week I’ve been convinced that I’m a homeschool failure, but I’m not. Neither are you. 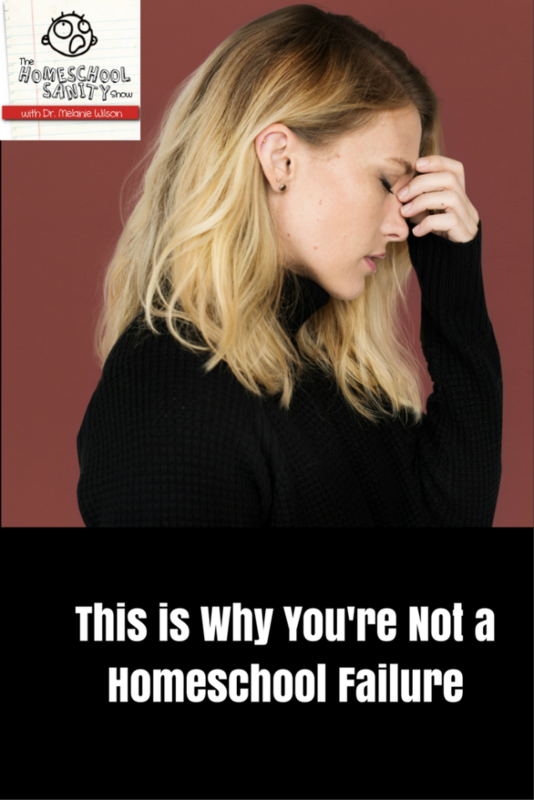 There are six reasons I know we aren’t failures that I share on this episode of The Homescool Sanity Show. Last episode, we wanted to encourage new homeschoolers who may be having second thoughts about this grand experiment they planned. But what about veterans (like us)? How did your last year go? Everything exactly as planned? Or was it like so many of ours, full of interruptions, distractions, illnesses, emergencies … Maybe you look at last year’s disasters and think, “I’m not ready to start again … I don’t know if I can do it!” This episode, we talk about the reality of doubts and disappointments, and how God often works through our homeschooling troubles to accomplish things we may not have realized yet! 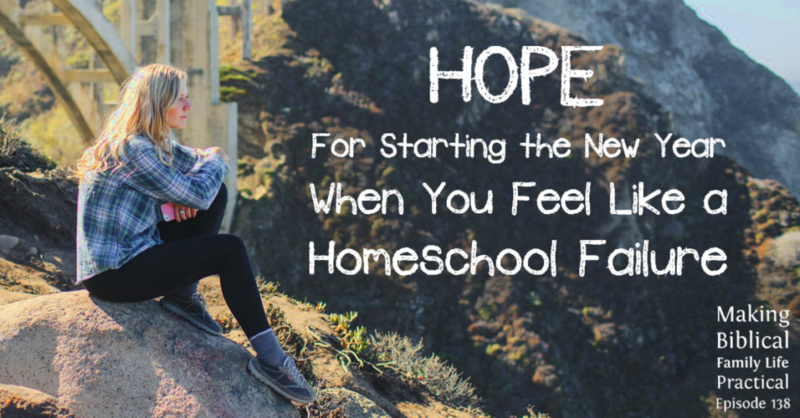 When homeschooling hasn’t been going like you hoped, it can be really hard to get excited about starting a new school year. Get practical help from a family who has been there!